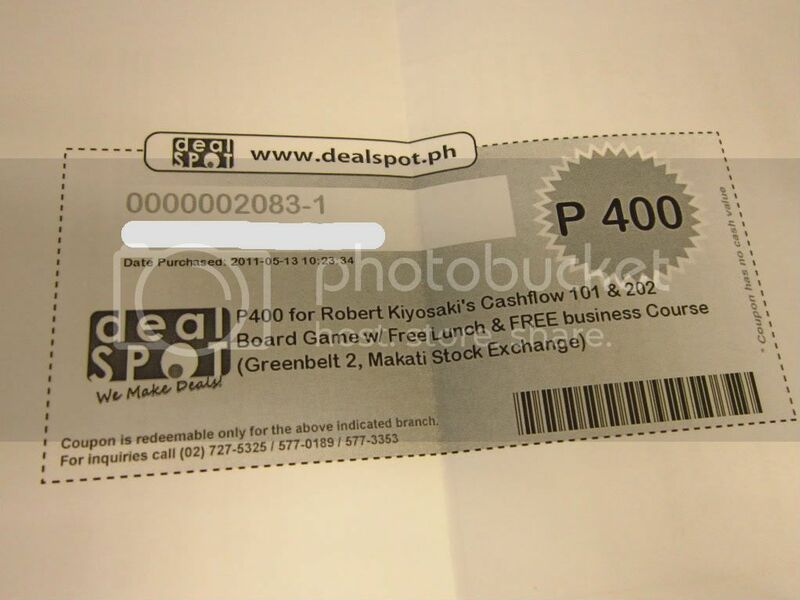 A few months ago, I purchased a voucher at dealspot.ph for Robert Kiyosaki's Cashflow 101 and 202. Unknown to many, finance is a passion of mine. Though my work is more on IT, I'm still keen on finance. Yeah, I compute, I save and I invest. Anyone willing to take it? Post a comment with your email address (You have to meet me in Ortigas though). Let your problem be mine..
Hmm, anyone who can meet me in Ortigas? Jeez. Naunahan ako! ME!!!!! LOL! Hmm, anyone who can get it from me this Wednesday?